When your cat goes to the veterinary hospital, chances are she’s going to spend much more time with veterinary technicians or other veterinary staff members than with the veterinarian. Veterinary technicians are educated in the latest medical advances and skilled at working alongside veterinarians to give cats the best medical care possible. The National Association of Veterinary Technicians in America, Inc. (NAVTA) has designated one week in October as National Veterinary Technician Week. It’s an opportunity to celebrate the veterinary technicians in your cat’s life. I don’t really care for the term ”technician” with its connotations of working on technical equipment or doing practical work in a laboratory. While vet techs are most definitely skilled professionals, they are so much more than that. They’re the ones who will go the extra mile to keep your hospitalized cat comfortable. They’re the ones who will sit with your cat while she recovers from anesthesia and surgery. They’re the ones who will treat your cat like she’s a member of their family. I’ve had the privilege of working with some truly exceptional veterinary technicians in my years in the profession, and I share my stories of working with some of them in my new book, Adventures in Veterinary Medicine. I worked as a technician myself for a few years, and I learned from some of the best in the business . I knew nothing about working in a hospital when I got my start. I will never forget a technician named Stacey, who took me under her wings and showed me the ropes. Another technician, Kelly, gave me an orange and a syringe to practice drawing blood. Our head technician Susan, one of the most dedicated technicians I ever worked with, got me over my apprehension over learning how to place IV catheters, and as a result of her tutelage, I actually got to be quite good at it and often became the “go to” person for tiny little cat veins. I have a lot of respect for anyone who chooses this profession. The low pay, the long hours, and the often dirty work make this a less than glamorous profession. But for dedicated veterinary technicians, the rewards of caring for the animals they love far outweigh the drawbacks. 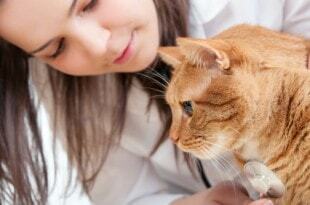 Do you have a story about how a veterinary technician helped your cat? Please share it in a comment. I met many veterinary “technicians” when I brought My Kitty to the Vet Hospital. I put “technician” in quotation marks as the label is a misnomer. These vet technicians were really animal *nurses. The ones at the animal hospital are highly educated & trained. In human terms, they are “RN’s.” They go to college 2-3-4 years to be a veterinary “technician.” Associate degrees. Bachelor of Science. The vet technicians have worked hard to obtain the title “RN,” but the RN human nursing profession balked Big Time & fought vet “technicians” from obtaining the deserving title, “RN.” For they said it would be debasing to the human profession to be on a par with the animal nursing profession. And of course, a vet “technician,” being an “RN,” would raise their pay scale:) Regardless the education, I have never found a vet technician that was not excellent. Knowledgeable & so caring. I am an RN, trained & educated years ago when nursing schools produced knowledgeable RN’s with “bedside manner.” The *total patient. I have been hospitalized many times in the past few years. I was shocked at the RN’s. The nursing care was minimal…& often bordering on malpractice. But that is not to speak for all RN’s today. However, the vet “technicians” I met, & many, did care for the *total *animal. Bedside manner with expert clinical knowledge on a par with human nursing RN’s. When I still managed a veterinary practice, we frequently had clients comment on how different the care and service they received from us was, compared to human medicine. From caring “technicians” to follow up phone calls made by veterinarians to check on a pet they’d seen the day before, you just don’t get this kind of care in human medicine. How many times has your physician called you the day after a minor procedure to see how you were doing! My LSA & VC (Livestock Assistant and Veterinary compunders) are my right and left hands. i use my mind and they act upon as i think. I LOVE my vet techs!!!! They are my resource for information, my friend to hold my hand & provide comfort when my cat is sick or after they’ve passed and never tell me I’m crazy when I ask 101 questions! As a foster mom, techs have taught me to force feed, how to properly give meds and injections. They are so over worked & under paid, but I am so very thankful for everything they do. I always pick up treats for the girls at my vets office & have even treated the infirmary staff to lunch at my shelter after we lost a dear foster kitten. I can’t say enough how much I love my tech friends!! Thanks so much for this post Ingrid!! Our Veterinary Techs are FABULOUS! They are caring and kind and I don’t know what we would do without them! After reading your (fantastic) book, we have to agree – they are truly unsung and under-appreciated heroes. The vet techs are my cats best friends when they have to go to the vet. Splitters had to stay for three days and she was very loved by the techs. And she is now much tamer than she was before. They are usually really good people. Sounds like Splitters got extra special care at your vet’s, Marg. I’m sure the staff at your vet’s will appreciate the sweet treat, Angela! As a Registered Veterinary Technician I appreciate this set-aside week to recognize my colleagues and the truly great work they do. I am no longer in the profession but try to keep up with advances as much as possible. I started as a kennel assistant (aka pooper scooper) in one clinic, moved up to veterinary assistant and then moved to another hospital where I began to recognize that I would be happier with more education. I enjoyed the labwork so much but wanted to understand what I was doing better. I also enjoyed assisting in surgeries but wanted to do more. I earned my certification and moved up to Chief Vet Tech in an Emergency Clinic and then advanced to Research Associate at Iowa State University. Vet Techs are capable of so many things. They handle initial exams, owner interviews, labwork, assist in surgery, take x-rays, monitor in-house patients and treat as directed, maintain all supplies and that’s just in a clinic setting. Some vet techs work with livestock and/or horses, zoo animals, wildlife and research animals. 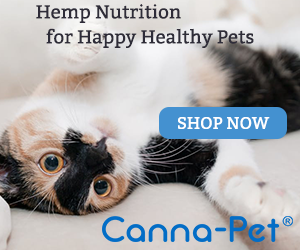 They may even work for veterinary supply distributors, pet food companies, reference laboratories or research labs. Please take time this week (and any other week) to thank the vet tech(s) in your pet’s life. Thanks so much for this post, Ingrid. Thanks for all you do for the animals, Andrea!